See your facades, fascias and signs looking their brightest and best when deep cleaned by Excel Cleaning Services. We cover Essex and Hertfordshire with our dedicated team using the latest pure water cleaning methods. Most facades cleaned from the ground with water fed pole or power pole. Cherry picker access equipment for above 30ft. Chemical application to dissolve dirt and remove staining. Conditions the surface preventing discolouring. Environmentally friendly products where appropriate. Your facades, fascia, soffits, cladding and Upvc are integral to the look of your property and Excel Cleaning Services can help you keep your premises presentable. Whether you need a general maintenance clean or a restoration clean to make them like new again please contact us for advice on the best way to get the results you need. 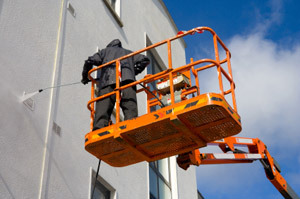 With the application of safe non scratch chemicals to dissolve any ingrained dirt and staining delivered to high level areas by telescopic power pole systems and reach & wash scrubbing systems, in most cases we can provide a ladderless cleaning service helping you to comply with Health & Safety legislation. 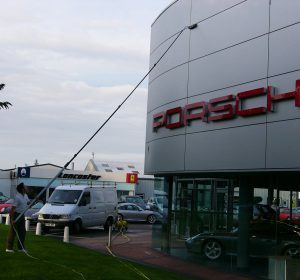 The system enables areas previously inaccessible to be accessed making it by far the safest and easiest way to clean fascia, facades, soffits, cladding and signs. Excel Cleaning Services systems and products restore and protect your investment quickly and easily increasing its life span, helping you prevent discolouring and atmospheric deterioration of your fascia or signs. Our quotations are based on the number of meters being cleaned, their height and condition. 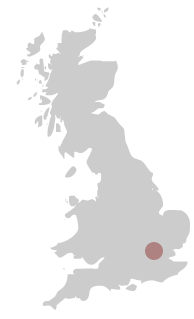 It is a most cost effective service. Why not have yourÂ gutters clearedÂ at the same time. If you need a reliable service in or around these areas please contact us and one of our maintenance cleaners will be pleased to provide a free quotation.